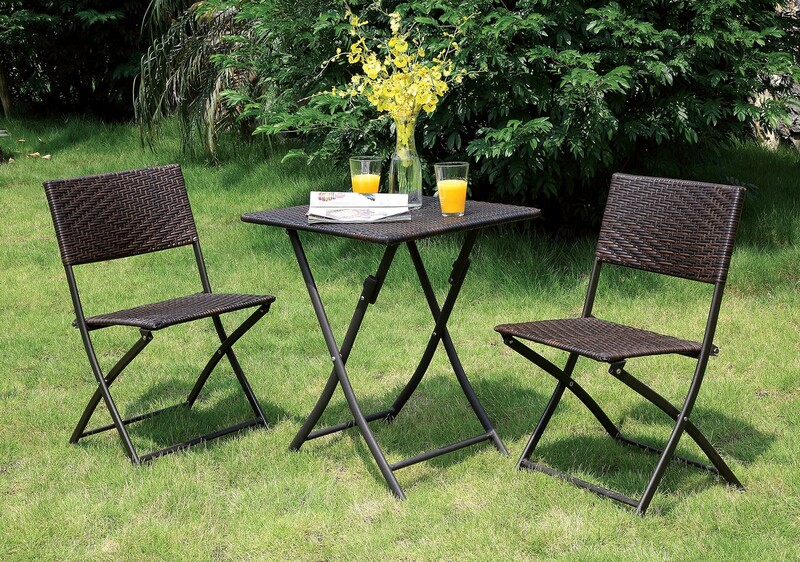 With its sophisticated wicker-like design and aluminum frame, this bistro set offers an intimate meal space for two to enjoy! Sit out on your porch with a refreshing chilled drink, or fold the chairs and table for easy transport. No matter what your preference is, make the most of your downtime by inviting that special someone over for a meal al fresco.